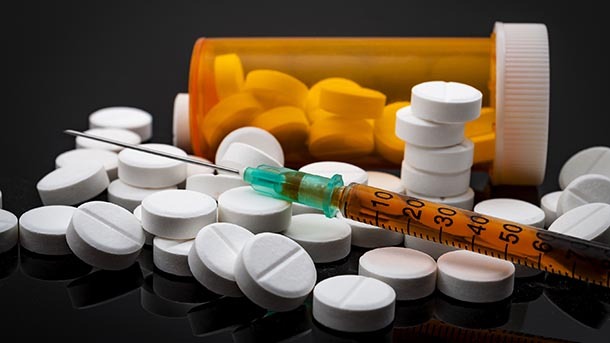 Current interventions to limit prescription opioid misuse are not enough to address the larger, looming problem of illicit opioids in the United States according to a study published in JAMA Network Open by a multi-institute research team. The researchers developed a dynamic systems model to project opioid overdose death trends from 2016 to 2025 and found that, even under the strictest scenarios, overdose deaths will continue to rise. UNIVERSITY PARK, Pa. — The opioid epidemic could be responsible for 700,000 overdose deaths in the United States between 2016 and 2025, according to a new study published today in JAMA Network Open. The researchers found that, if that status quo continues, the annual number of opioid overdose deaths will increase from 33,100 in 2015 to 81,700 in 2025 — a 147 percent increase. Eighty percent of those overdose deaths will result from the use of illicit opioids, such as heroin or fentanyl. In every scenario tested, the researchers found that interventions aimed at reducing prescription opioid misuse decreased overdose deaths by three to five percent. Other contributors on this paper include Davis Weaver, a medical student at Case Western University who was a research associate at the MGH-ITA; Anna Lietz, a research associate at the MGH-ITA; Peter Mueller, a postdoctoral fellow at MGH-ITA and Harvard Medical School; Sarah Wakeman, the medical director of the Substance Use Disorders Initiative at MGH and an assistant professor of medicine at Harvard University; Kenneth Freedberg, a professor of medicine at Harvard Medical School and MGH and the director of the Program in Epidemiology and Outcomes Research at the Harvard University Center for Aids Research; Tiana Raphel, a medical student at University of Texas Southwestern Medical School who was a research associate at the MGH-ITA; Amy Knudsen, an assistant professor of radiology at Harvard Medical School and a senior scientist at the MGH-ITA; and Pari Pandharipande, an associate professor of radiology at Harvard Medical School and the director of the MGH-ITA. Home of the first established industrial engineering program in the world, the Harold and Inge Marcus Department of Industrial and Manufacturing Engineering at Penn State has made a name for itself in the engineering industry through its storied tradition of unparalleled excellence and innovation in research, education, and outreach. Both our undergraduate and graduate programs are consistently recognized as top programs in the country thanks to a diverse and dedicated faculty of 32, exceptional students — nearly 400 undergraduates and 200 graduate students, ever-evolving curricula, world-class facilities, and extensive research and collaborative efforts that are aimed at improving the design, production, and delivery of products and services around the world. See how we’re inspiring change and impacting tomorrow at ime.psu.edu.